I’ve read and enjoyed every Davis Way Crime Caper novel thus far. Double Knot by Gretchen Archer, while fun, was a bit too over-the-top on the drama, making the story a bit too unbelievable for my tastes. Davis embarks on a Caribbean cruise in Double Knot acting once again as a body double for her boss’s wife, the ever demanding Bianca Sanders. 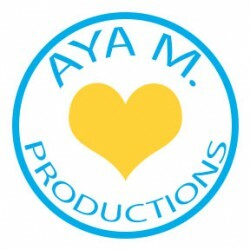 (Talk about the craziest job ever!) What was supposed to be a luxury cruise full of promotional appearances, ended up being a cruise from hell. Davis was trapped in her room with quite an odd group of people. Between the tech savvy cruise liner, the banking talk, and the money scam, the entire story felt pretty unbelievable. I mean, could a cruise liner that relies completely on a single device exist? Yes. But I find it hard to believe that there was absolutely no way to override the system. Plus the wife that was part of the couple in charge of the cruise knew absolutely nothing. NOTHING! How could she miss so much? Then there was the banking talk about how the cruise work that just went completely over my head. It was just too much, and I had a hard time believing it all. Despite the lack of believability of the plot, I enjoyed Double Knot. Double Knot presented an opportunity to explore a relationship that has been strained over the past four books. With Davis’s mother on the cruise and the predicament she finds herself in, Davis has no choice but to discuss her issues with her mother. Did I like how her mother handled the situation? No. In fact, I’m not sure I’m completely warmed up to her yet. Regardless, I enjoyed seeing their relationship develop more and hope to see more in the future. 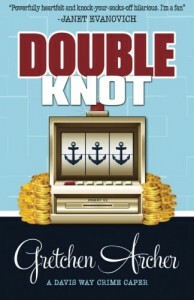 Overall, Double Knot by Gretchen Archer was fun and developed some critical plot points to the overall series. However, the over-the-top drama made the story more unbelievable, and in the end, I wouldn’t call this a favorite. It is still a must read for all fans of the series.